Oil and gas production flowrates and characteristics vary during the life of a well or field due to changing reservoir parameters. In many cases these changes in flowrates and production characteristics cannot be accommodated by the original production system or infrastructure, which could limit a well or a field production potential. Expro’s production facility upgrades are designed to overcome changes in production characteristics from the reservoir, process pressure, fluid properties, waste or by-products not anticipated at initial start-up of the field. 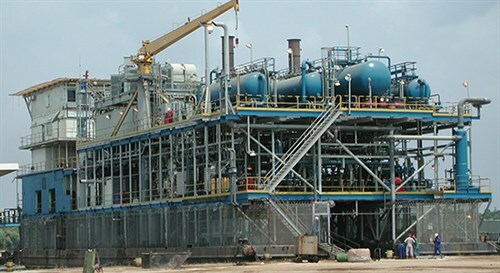 Where facilities have fallen into disrepair or are sub-optimal, modular facility upgrades are a cost effective alternative to shut down and reconfiguration of the main process facilities. The overall goal is to either improve production throughput or improve production facility efficiency. Late-life production is associated with high water cuts, often exceeding 90% of the produced liquids. Our bulk water removal systems are placed upstream of the original production equipment to remove this excess water, using compact and efficient pre-separation hydrocyclones. Another challenge of late-life wells is the onset of H2S or mercury in the production stream. In addition to these elements being hazardous to humans they can cause irreparable damage to production facilities or pipelines. Expro works closely to analyse and propose solutions to debottleneck production systems. We can provide expert reservoir and subsurface engineering support, where well intervention may be more appropriate to remediate waste products from the well rather than process at surface. Prior to cessation of production, well abandonment and facility decommissioning there is a period where the existing production facilities are no longer optimised for the production profile, and through continued ageing are very often shut down for unplanned maintenance or outages. Replacing this with a smaller compact modular late-life production facility enables operators to realise maximum production from the final years or months of an asset’s life, while starting the decommissioning and deconstruct of the original and aging facilities ahead of cessation of production. When an appropriate solution is identified, the modular facility upgrade equipment is sourced from existing inventory where possible, configured offsite and requires minimal construction of site piping and ancillaries to complete onsite installation. Our customers benefit from in-house manufacturing facilities, process, engineering, and construction expertise, allowing us to manage the supply chain to achieve delivery of projects in a matter of months. With a track record spanning over 30 years with production facilities in over 30 countries and in excess of 350 million barrels of oil equivalent produced, Expro is a leading global supplier of fast-track modular production upgrade systems.